A very worthwhile picture Ian. 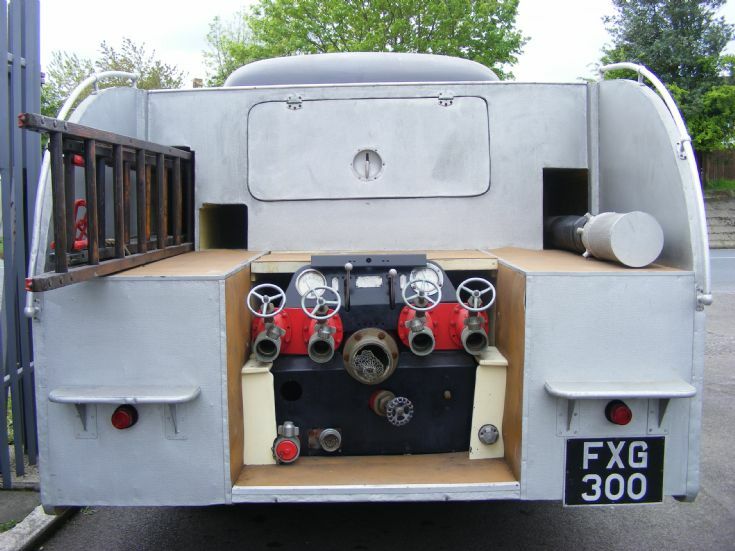 A rear view is so valuable when looking at an unusual appliance such as this and yours is the first one I have seen. Added by Chris Wood on 09 May 2009. Added by Pat Rivers-Bowerman on 27 February 2010. Added by Anders Fallström on 18 August 2014. It was originally built as an open cab truck, to achieve the required low height. The plastic bubble top was added later on because of pressure from the Fire Brigade Union, as the firefighters did not like riding around in the cold and wet weather so typical of Northeastern England! For better or worse, the FBU used to be very powerful, so the city had little choice. Added by Rob Johnson on 14 November 2018. Hi all just an update on the Dennis it is now at the North East Land Sea and AirMuseum at the Old RAF/Sunderland airport site next to the Nissan motors factory worth a visit if you are in the north east of England. Added by Ian mcpherson on 15 November 2018.